I've already have this scan but thanks for submitting x3. 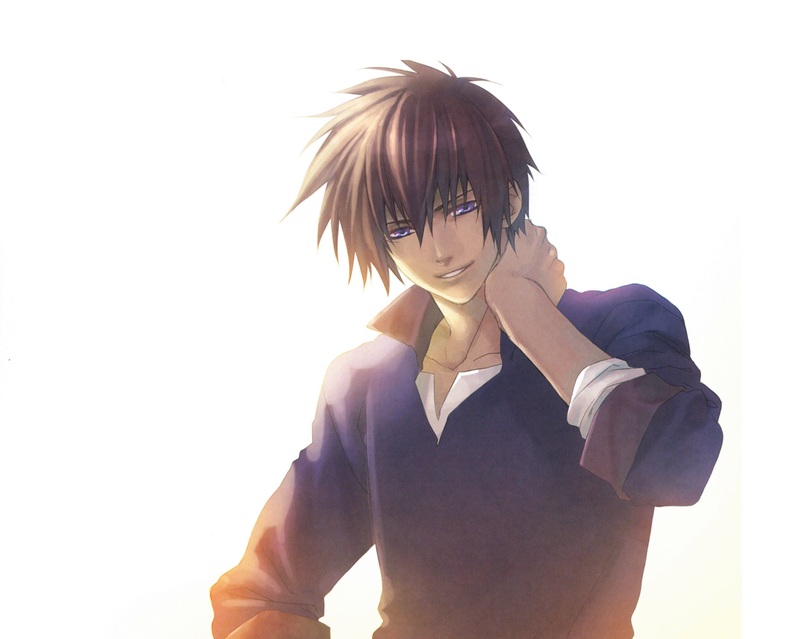 I love Takuma x3. Do you know where it came from? This looks like a manga color page, but hiiro no kakera manga is a oneshot and the designs are a little emmm ugly compared with the game. this scan seems to came from some... artbook, I guess. But i can't be sure. Do you know? Quote by EnyshaI've already have this scan but thanks for submitting x3. I love Takuma x3. he is hot! thanks for the awesome scan! Don't worry, i just asked for curiosity =P. I hope you can submit more hiiro no kakera's scan x3. hot hot hot! he is gorgeous! "I can explain the dead body here... ha ha.. the albino did it"
XD lolz *favs* awesome pic! all the characters in this game r rlly awesome. i'd totally buy it. too bad it's not coming to the U.S. He has such a cute look on his face. Thanks for sharing! Oh wow, just melts at his expression. Thanks for sharing. Oh my god! he is so hot, I love this guy- Thanks for the scan.